Unfortunately, there are many misconceptions and myths out there about Reverse Mortgages. It seems like uneducated individuals are spreading around the wrong facts about reverse mortgages. Remember not to listen to anyone and do you own research before making a conscientious decision about a reverse mortgage. There are a few myths that I would like to point out – remember, not all reverse mortgage information is accurate (especially on the internet). 1) The lender will own my home after I pass away. 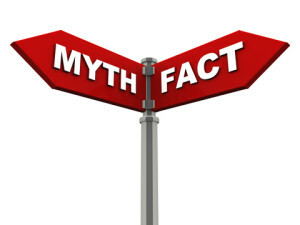 (This is a Myth as you are the sole owner of your property and your heirs will inherit your home and they will have time to sell refinance or buy the home). 2) I must have no mortgage to qualify for a Reverse Mortgage. (This is a myth as the reverse mortgage formula is based on your age, interest rate and the amount of equity in your home. It is true that the mortgage lien would have to get paid off, but it doesn’t mean that you won’t qualify for the program). 3) I don’t have to make any payments. (This is true, but remember that you still must pay your own property taxes and home owners insurance on a consistent basis). 4) I need a good credit score in order to qualify. (This is a myth as the Reverse Mortgage doesn’t factor in any credit score requirement or income).